Understanding the utopian state in the Garden of Eden. 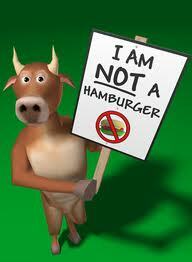 There are over 10 million vegetarians in the U.S., including the recently-converted Bill Clinton. Much has been written about vegetarianism from a Torah perspective, in which the reasons why people adopt a vegetarian regimen are analyzed to see if anything in these philosophies runs counter to the Jewish outlook. The Torah tells us (Genesis 4:1) that Adam “knew” Eve, and she conceived and gave birth to Cain and Abel. Abel became a shepherd, while Cain became a farmer. After a period of time, Cain brought an offering to God from the crops, while Abel brought his offering from the choicest of his flock. God accepted Abel’s offering, but rejected Cain’s. This made Cain frustrated and angry at his brother. So one day when they were alone in the field, Cain rose up and killed Abel. As a punishment, Cain was doomed to wander the world from place to place. Is this just another tale of jealousy and murder, or is there a deeper message? What did Cain do so wrong that God rejected his offering? After all, as a farmer, it made perfect sense to bring a gift from the fruits of his labor. Furthermore, we find that a third son named Seth was subsequently born to Adam and Eve. Only regarding this son does the Torah write that Adam “begot in his likeness and his image” (Genesis 5:3). This implies that only Seth was in the image of his father, who in turn was created in the image of God. Yet Cain and Abel were not worthy of that description. Why? These verses indicate that in the Garden of Eden – the ideal utopian existence – Man and beast were to share the same herbal diet. At this time, Man was forbidden by God to kill animals for food. (Permission was granted to Noah, only after the Flood, which took place many generations later.) In other words, according to the Torah, the ideal world as represented by the state of Adam and Eve in the Garden of Eden is that people should be vegetarians! The ideal state of Adam and Eve is vegetarian. Now imagine Cain and Abel in the Garden of Eden, eating the exact same diet as the animals around them. When Cain saw that it was forbidden to kill animals for food, he concluded that there is no real difference between humans and animals. Just as animals are purely physical beings, so too, humans apparently exist solely in the physical dimension. Cain thought, given that inherent equality, that just as we are not to cause harm to our fellow man, we must likewise be concerned for the welfare of animals, and neither cause them harm nor eat them. That is why, when Cain wanted to present an offering to God, he didn’t bring an animal sacrifice – because he regarded men and animals as equals, and, accordingly, felt he had no right to take the life of an animal, even as an act of divine worship. So Cain offered a gift from the crops of the earth. Abel, on the other hand, understood that man was superior to animals, and could apply his uniquely human intellect to cultivating fields and shepherding flocks. This, Abel believed, gave man limited rights over animals, including the right to use animals in the service of God (albeit not the right to kill animals for one’s own needs). So Abel’s offering was of the animal world. Rabbi Albo explains: More than an issue of two brothers “not getting along,” they had very different worldviews regarding the relative moral status of men and animals. Cain’s error was dangerously misleading. He failed to realize the great difference between humans and animals, in that Man has a Divine soul, as opposed to animals which are purely physical beings. In light of this, Rabbi Albo explains the verse where God told Cain: “Surely, if you improve yourself, you will be forgiven. But if you do not improve, sin rests at the door” (Genesis 4:7). God was telling Cain that while at birth, Man and beast seem equal, only Man is capable of improving himself and rising to the highest levels. If he does not, sin rests at his door. Animals, on the other hand, have no such potential for greatness, and whatever level they are on at birth, there they shall always remain. Then came Cain’s big mistake. According to Rabbi Albo, Cain failed to understand the reason for the rejection of his sacrifice and continued to assume that his own value system – that man and animals are inherently equal – was correct. The next fatal step was for Cain to conclude that just as taking the life of an animal is permitted (albeit not for food), so too is taking the life of one’s fellow man. Thus Cain killed Abel. Only Seth, the third son born to Adam and Eve, properly understood that animals were forbidden, because of the negative effect of slaughtering, not because they were equal to humans, but for a far more subtle moral consideration: Knowing that an animal had to die for supper could possibly have a detrimental effect on one’s character, causing a loss of some of the refinement, sensitivity and compassion that God requires of us at all times. But Seth was clear that a human being is unique in the possession of a Divine spark. It is for this reason, says Rabbi Albo, that only Seth was mentioned in the Torah as “born in the image” of his father Adam, and in the image of God. Succeeding generations as well continued to believe that man and beast were inherently equal, explains Rabbi Albo. Rather than sensitizing people to the welfare of animals, this approach led to the false notion that violence against people was equally acceptable. The result: A breakdown of the social order, which God rectified by means of the Flood. Only after the Flood did God make an accommodation for Man’s misguided philosophy. 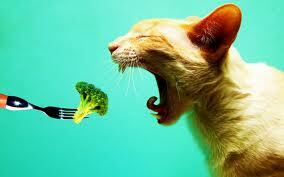 Meat became permitted as food, as the way to emphasize Man’s superiority over the animal kingdom. Biblical prohibitions ensure against the abuse of nature. Of course, it goes without saying that man is responsible for the animal and plant worlds that were placed on Earth to serve him, and this relative moral superiority does not give us license to abuse the animals and our environment, even as we use them for benefit. In fact, God gave us two biblical prohibitions – against causing unnecessary pain to animals, and against destroying the environment – in order to ensure these abuses don’t happen. So while killing animals for food may have a subtle negative effect, at the same time we must be clear that the utopian ideal of vegetarianism is not in any way rooted in the notion that animals somehow have “equal rights.” On the contrary, animals were put here in order to serve Man, who sits on top of the pyramid. Any utopian ideal is based on a concern for the moral degeneration of man himself. Only if there is a God in whose image human beings are created, is human life sacred. If human beings do not contain an element of the Divine, they are merely intelligent animals. For many years, I have been warning that a totally secular worldview will erode the distinction between humans and animals. The popular contemporary expression “All life is sacred” is an example of what secularism leads to. It means that all life is equally sacred, that people and chickens are equally valuable. That is why the head of the leading animal rights group, People for the Ethical Treatment of Animals (PETA), has likened the barbecuing of six billion chickens a year to the slaughter of six million Jews in the Holocaust… Such views don’t so much enhance the value of animal life, as they reduce the value of human life. An am ha’aretz (ignoramus) is not allowed to eat meat, for it says, “This is the law [Torah] concerning mammals and birds” (Leviticus 11:46). [The word “Torah” is interpreted as:] Someone who learns Torah is allowed to eat an animal or a bird, whereas someone who is ignorant of the Torah is not allowed to eat an animal or a bird. How are we to understand this Talmudic passage? Does this mean that anyone who wants to order a rib steak at a local kosher restaurant has to first be tested by a rabbi to see how much Torah knowledge he has?! The more we share with animals, the less the argument for human superiority. Eating an animal requires real confidence in the inherent superiority of Mankind. We share a lot with animals. In fact, the more we find that we share with them – we eat, sleep, procreate, laze around, breathe, and a host of other activities – the more the argument for our “superiority” shrinks. But if we consider the less tangible aspects of Man – Divine soul, ability to conquer his urges, ability to perceive God’s essence, etc. – then the argument tilts in the opposite direction. Humans who rise above the physical world are on a much higher plane. And given this wide gap, taking the life of an animal for food is a natural extension of that human superiority. In fact, it is a mitzvah to eat meat on Jewish holidays as a sign of celebration. Yet what of the person who doesn’t utilize those God-given gifts which make Man morally superior to the animal kingdom, and instead spends life doing much of the same activities as his four-legged counterparts? For him, there is no moral license to eat an animal simply because he has the power to do so. Hence, the Sages pronounce the ignoramus prohibited from eating meat. In summary, it seems that while the ideal is for Man to be vegetarian, as were our ancestors in the Garden of Eden, there are dangers inherent in such a philosophy. Thus Man is allowed, even encouraged, to eat meat as a reminder of his superiority to the animal world, as reflected in his Divine soul.